Up to the beginning of the 20th century, many professional artists prepared their own canvases. As more and more amateurs took up the brush, the demand for canvases prepared by traditional methods grew. In 1906, in the middle of Belgium's Flax District and near the River Leie, Victor Claessens founded a company to produce artist-quality canvas, using and refining the tried-and-tested methods that had been passed down from generation to generation. More than a century later, Claessens NV is still operating in its original location in Waregem, Belgium. Inspired by the proven techniques and methods of the great Flemish and Dutch Masters, Victor Claessens’ descendants have made a conscious choice to retain a small-scale approach to production and to honor the traditional methods for preparing artist’s canvas. Today much of the work is done by machine, but the core of the production process remains unchanged. Craftsmanship and attention to detail continue to be key elements. Experts and internationally renowned artists alike appreciate the qualities of a Claessens canvas — an archival support of exceptional quality that enhances the creative process. Painters work with a variety of paint types — each one requiring a specific canvas coating. Oil canvases are intended solely for oil paints. Universal canvases are suitable for oil paints and acrylic paints. Absorbent canvases are intended for tempera paints. 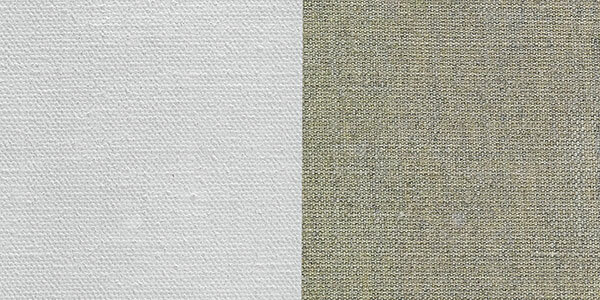 Style 160 — This medium-smooth, single weave linen is double coated by hand with a universal primer that accepts both oil and acrylic paints. 77 TPI. 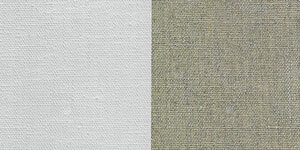 Style 166 — A heavier medium texture linen that is ideal for landscape painting. With its tighter weave and stronger thread it will support larger works and heavier paint layers. Style 166 acrylic primed is the same linen as Claessens Style 66 oil primed linen. 80 TPI. Style 109 — Medium textured, medium weight linen with an acrylic primer, an all-purpose linen that is similar to Style 120 universal and Style 20 oil primed, but smoother in texture. Style 107 — Smooth, portrait grade linen with an acrylic primer. Thread Count — The tightness of the weave, in cotton and linen canvas, is measured by the thread count, which aggregates the number of threads per inch in the warp and the weft. Thread count is measured in threads per square inch, abbreviated TPI. A higher thread count produces a finer cloth, prized for detail as in portraiture, but not necessarily as strong. ® Claessens is a registered trademark of Claessens NV. Claessens universal primed linen canvas is sized with synthetic glue to protect the fabric from acidic oils, and to lend rigidity to the canvas for ease of stretching. Next, it is primed with two layers of Titanium White. Because the primer is water based, the canvas can be placed in a dry-air oven to dry, where the water evaporates more quickly. Claessens linen canvas is made exclusively from natural materials that are grown, sorted, and processed with the greatest care. Claessens linen canvases are truly natural products, with small differences in their color, composition, and feel, which can occasionally lead to minute differences in the end result. This is to be expected from a canvas made using traditional methods. Indeed, from an artistic and creative point of view, such small differences are considered to be more of a "pro" than a "con."